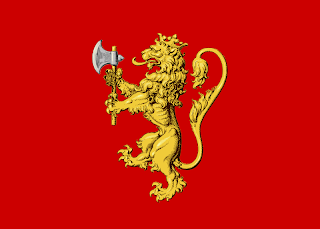 One of the earliest flags for Norway dates from 1318, under the Old Kingdom of Norway, an simple red banner, featuring a golden rampant lion, with a crown, and holding an axe. However, through a series of acts of unions between various royal families, Denmark, Sweden, and Norway effectively unified into the Kalmar Union. 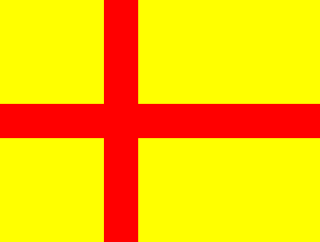 Using Denmarks ancient Dannebrog as influence, they created a new flag that incorporated colours common to all three. A red Scandinavian cross on a yellow field. A Scandinavian cross represents Christianity, and is set towards the hoist of the flag. However, in 1523, the Union began to dissolve with Sweden leaving the union. 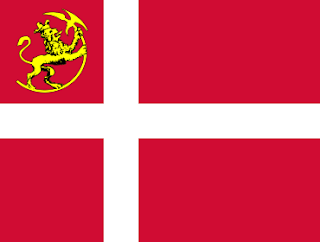 In 1526, the Kingdom of Denmark-Norway was formed, taking the Danish Dannebrog flag as its emblem. However, during the Napoleonic wars, Denmark wanted to remain neutral. However, by joining the League of Armed Neutrality, it was attacked by Britain. This led to Denmark allying itself to France, and was subsequently defeated by Britain in 1814. Under the Treaty of Kiel, Norway was to be ceded from Denmark, to Sweden. Norway, not surprisingly, objected, and declared independence. The new flag took the Dannebrog, and added a new golden lion in the upper hoist canton. However, Sweden wanted its territory under the treaty, and invaded, forcing Norway to accept a personal union between the two kingdoms. However, Norway kept a large degree of autonomy. To show this new union, a common flag was adopted. Taking the Swedish flag, a white diagonal cross on a red field was placed in the upper hoist canton. 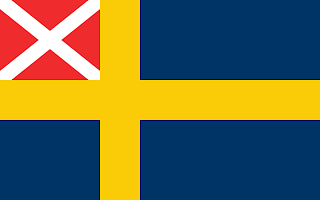 However, this flag did not appeal to the Norwegian people, as it looked like Norway was subservient to Sweden. 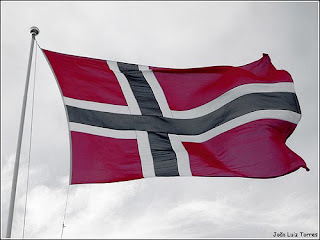 So, in 1821, the new Norwegian flag was created by Frederik Meltzer, a member of the Storting (parliament). 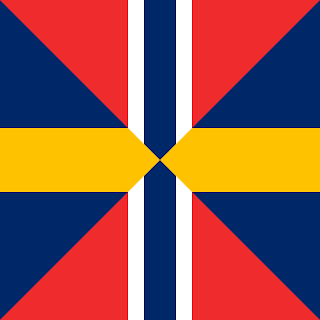 The new flag took the Dannebrog, and placed a blue cross within the white cross, to create a new and unique Norwegian flag. However, the King refused to sign it into law. However, pressure mounted, and in 1844, the flag was adopted to signal Norway's equal status in the Union, and a new Union badge was created. This badge took elements from both flags, and combined them. This union badge was popular in Norway, as a sign of the Union, and placed in the upper hoist canton of both Norway and Sweden's flags. However, in Sweden, it was less popular, leading to the less than polite epithet, "Herring Salad" being used to describe it. 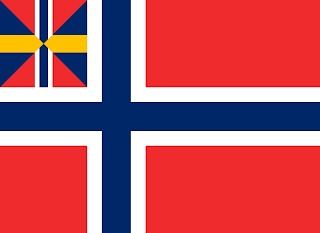 As the union became less popular, the union badge was dropped from the civilian flag (but kept on the war flag) in 1899, and Norway moved back to the "pure" flag in 1905 with the dissolution of the union. Now, Norway has 2 flags. The civilian, national flag is the standard Norwegian cross in a rectangular flag, with the State/war flag featuring a 3 point "swallow-tail" style design. The rules for the flag are quite strict. For example, most nations have rules on folding. The US flag is folded into a triangle. The Union Jack of Britain is folded into a square. Norway, well, it is rolled. Also, whenever a flag is raised, or lowered, people are expected to stop, and face the flag to pay due respect.